Varun Viswanathan from Thiruvananthapuram, B.Com Graduate. MARKEING & OPERATION.. DIGITAL MARKETING EMAIL & SMS MARKETI.. LEAD GENERATION SALES AND MANAGEMEN.. SEO (SEARCH ENGINE O.. SEARCH ENGINE OPTIMI..
are one of expert skill area's of Varun Viswanathan . 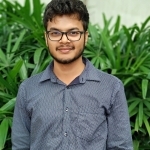 Varun Viswanathan is working in IT Software industry.